Acupuncture has a very long history and is one of the oldest, most commonly used forms of medicine in the world. Even though it has been used throughout the world for the past 5,000 years or more, it is the Chinese that have preserved, documented and scientifically scrutinized the medicine for the last 2,500 years. Acupuncture is currently one of the most thoroughly researched, practiced, and respected forms of complementary medicine available anywhere. In Traditional Chinese Medicine theory, your overall health is evaluated by a number of factors, including the quality of the "Qi" (life force or energy) flow through the electromagnetic pathways of the body called meridians. 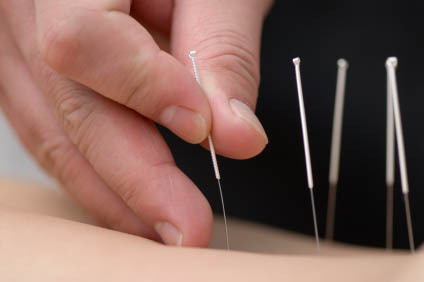 Acupuncture uses various techniques, including placing very thin sterile needles into the electrical points of least resistance on the surface of the skin to stimulate and improve Qi flow, and restore health. From the western perspective, acupuncture reduces vascular resistance or increases circulation, decreases inflammation, stimulates pain regulating systems in the brain and the autonomic nervous system by inducing the release of several types of opioids to reduce pain and regulate an overactive nervous system. Acupuncture also affects brain areas that stimulate the secretion of endorphins and enkaphalins, chemicals that help moderate the sensation of pain in the body. The more acupuncture is investigated by western science, the more we are discovering the many measurable changes in the brain as well as chemical messengers in the blood and tissues that occur while undergoing treatment. More notably are the decreases in cortisol surges that follow a typical stress response, the reduction of vascular resistance and decrease in inflammation as well as immune regulation. Electroacupuncture is a highly effective treatment for acute/chronic pain, nausea, premenstrual syndrome, ovulation stimulation and can even be used to induce labor. Electroacupuncture can be used to aggressively clear out stagnation of Qi and blood that cause pain and greatly encourage the production of endorphins to alleviate many different states of discomfort. In practice, a negative an positive lead are connected to needles placed in strategic areas to create the desired effect. Depending on the condition, either micro-current or milli-current is used and a tingling sensation or muscle contraction is felt by the patient leading to extended relief in many cases. Cupping has been a part of Chinese Medicine for over 2,500 years. It relieves aches and pains, improves circulation, pulls apart minor knots and adhesions in the muscle fibers and fascia, helps with respiratory issues such as asthma, bronchitis and allergies. Cupping in fact has been used worldwide for millennia for a number of reasons. Cupping brings old stagnant blood to the surface of the skin causing redness and temporary bruising in the shape of the cup used. This minor bruising can last up to a week in some cases. The immune system is triggered to clean out this old blood and deliver new oxygenated blood to the surrounding tissues for healing and rejuvenation. This is particularly helpful when one is undergoing detoxification or has an acute/chronic injury. Moxibustion is a Traditional Chinese Medicine practice that involves burning the small fibers that grow on the underside of the mugwort leaf to facilitate healing. The burning of this spongy plant material has been used throughout Asia for thousands of years. The purpose of moxibustion, as with most forms of Traditional Chinese Medicine, is to invigorate the blood, stimulate the flow of Qi (energy), and improve your overall quality of health. From the western perspective, moxa works in a similar fashion as acupuncture. 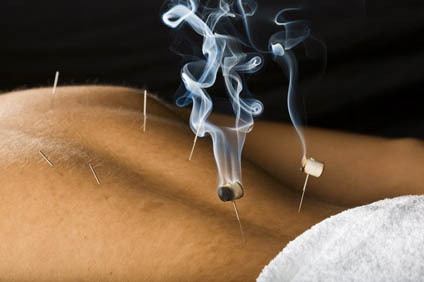 Instead of activating the points with needles, they are stimulated with the warmth of a burning herb. 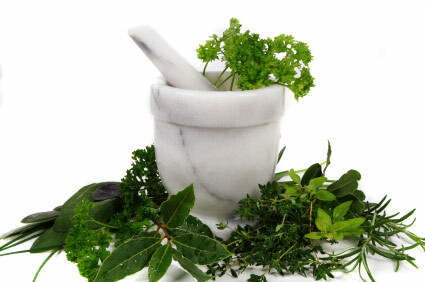 This increases circulation, reduces inflammation, induces pain regulating systems in the brain and nervous system etc. Moxa comes in many forms. There is raw or loose moxa which can be molded into shapes such as a ball which is placed on a metal handled needle and burned, a moxa stick which is burned and held close to an acupuncture point to warm the skin (both of which are considered "indirect" moxa) or placed on a small slice of ginger or aconite and placed over an acupuncture point to gently warm the area. Finally, one can place small kernels of moxa directly on the skin, called "Direct Moxa" to more aggressively encourage certain results. Chinese Herbology is at least a 2,000 years old tradition that uses naturally occurring substances, including plant material to enhance one's health, vitality and longevity. Historically the Chinese had somewhat of an obsession with discovering the secrets to longevity. The foundation of this approach is to support the body's natural self-healing mechanisms in a way that is safe, and remarkably free of side-effects. This is what our western medicine calls "Anti-Aging" medicine. In fact, both modalities focus on increasing the output of our internal antioxidant production and well as increasing ATP or energy production from the mitochondria of each cell. Since each patient has different genetic predispositions, levels of oxidative stress and different overall needs, I carefully select and combine herbal formulas that work with your body to achieve optimal results for your unique situation. I prescribe only high-quality, pharmaceutical-grade herbal medicines that are available only to qualified licensed professionals. These herbs are produced according to the best medical standards for medicine, and have been thoroughly tested for pesticides, heavy metals, and toxins. © 2018 Way of the Phoenix Acupuncture. All Rights Reserved.